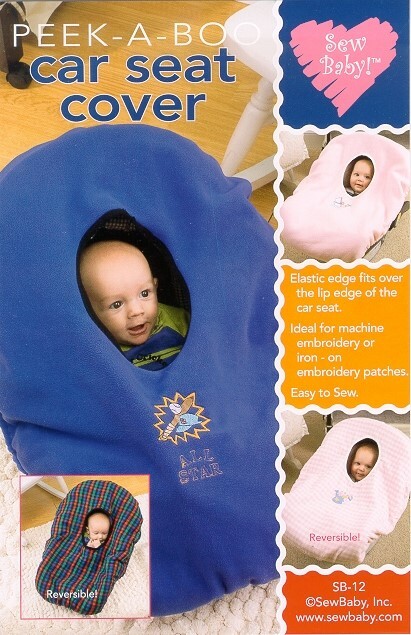 The car seat cover has a face opening with a ribbing band and a zipper on the front. A flap covers the opening or it can be folded and held in place with Velcro. The outside edges have elastic in casing to keep it in place on the car seat. 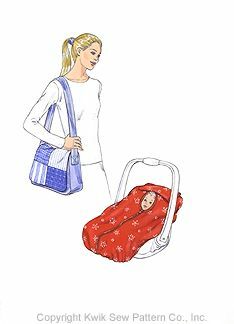 Lined bag has a flap, a wide shoulder strap, inside pockets, a bottom stabilizer from cardboard or Mylar plastic and an optional decorative flap overlay from two or four different fabrics.